Shakyamuni Buddha's 1st "turning" was in Deer Park near the present-day city of Varanasi in Northern India. At this time, the Buddha described how the dependently co-arising nature of phenomena allows for the possibility of freedom from suffering. These teachings include the 4 Noble Truths and Dependent Co-arising and were collected into the body of literature known as the Abhidharma or Sciences of Mind and Reality. This first revolution acts as an antidote to the obsessive habit of clinging to an independent self as ultimately substantial. Shakyamuni's 2nd "turning" was at Vulture Peak Mountain near Rajagriha. There, the Buddha taught how all phenomena lack intrinsic or absolute existence. These teachings were collected into the body of scriptures known as the Prajnaparamita Sutras or Transcendent Wisdom Scriptures. In particular, these teachings on emptiness were taught in order to liberate beings from their psychological and emotional fixations on even the subtlest aspects of reality. The 3rd set of the Buddha's discourses were delivered at Mount Malaya and Vaishali. In contrast to his second turning, the Buddha's third revolution elucidated how a luminous enlightened essence known as "tathagatagarbha" or "Buddhanature" pervades all beings. These teachings were compiled into a set of sutras known as the Essence Sutras. This final cycle of teachings was taught by the Buddha in order to free beings from their obsessive tendencies of holding onto nihilistic beliefs about reality. 3) Great Madhyamaka or Zhentong. The Great Madhyamaka or Great Middle Way zhentong (shentong) system of the Jonang is in contrast to the General Madhyamaka system known as "Rangtong Madhyamaka." General Madhyamaka includes both Svatantrika and Prasangika Madhyamaka. Indian masters of this rangtong system include Buddhapalita, Bhavaviveka, Chandrakirti, Shantarakshita, and their disciples. Early Great Madhyamaka figures include the Regent Maitreya, Arya Asanga and his brother Vasubandhu, Dignaga, Dharmakirti, and their disciples. 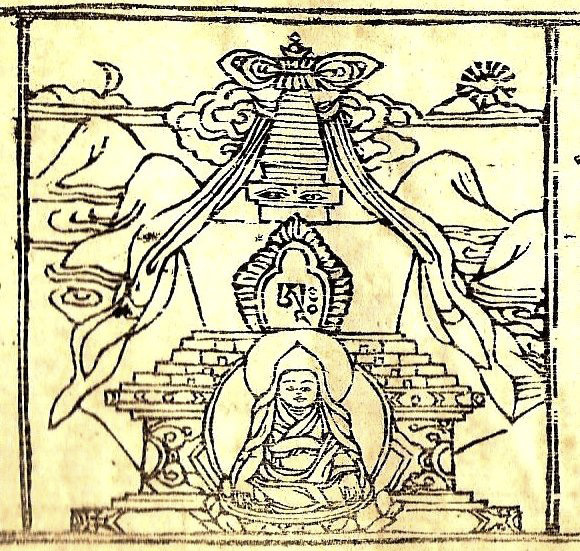 Though Nagarjuna explicitly taught Rangtong General Madhyamaka in his Collections of Reasoning, he also clearly expressed Zhentong Great Madhyamaka in works such as his Praise to the Ultimate Dimension of Reality. Accordingly, those who adhere to rangtong take the first wheel of the Buddha's teachings which is the Wheel of Dharma that teaches the Four Noble Truths to be provisional in meaning, the middle Wheel of Dharma that teaches the absence of characteristics as ultimately definitive in meaning, and the final excellently distinguished Wheel of Dharma as teaching the circumstantial definitive meaning, which is provisional in meaning. Those who uphold zhentong take the first Wheel of Dharma to be provisional, the middle Wheel of Dharma to teach the circumstantial definitive meaning, and the final Wheel of Dharma to teach to ultimate definitive meaning. Taking the final wheel or third "turning" of the Buddha's teachings as definitive, the Great Madhyamaka system emphasizes the yogic or meditative approach while General Madhyamaka emphasizes an analytic approach. Among these Essence Sutras, the Tathagatagarbha Sutra appears to be the earliest occurrence of the Buddha's teaching on Buddhanature. The Maha-pari-nirvana Sutra, Shri-mala-devi-simha-nanda Sutra, and Samdhi-nirmochana Sutra were highly influential though appear to be rather late. In addition to these Essence Sutras, the Avatamsaka Sutra and the Lankavatara Sutra also explain Buddhanature.